Before you finish reading this, one individual will have ended their life by suicide—because they think they have no other choice. According to the World Health Organisation, a massive 800,000 people take their lives every year—one death every 40 seconds. That’s over 2,000 a day. 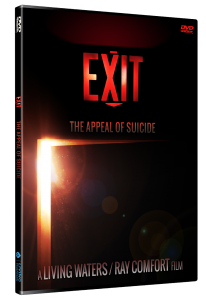 For millions who suffer from deep sadness and despair, “EXIT” points to a better way. This compelling movie shines a powerful light in the darkness and offers true hope to those who think they have none. Someone you know may be secretly considering their exit. Watch “EXIT” and share it with those you love. 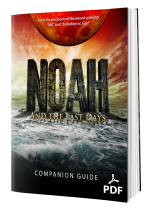 Ray is the Founder and CEO of Living Waters and the best-selling author of more than 80 books, including God Has a Wonderful Plan for Your Life, How to Know God Exists, and The Evidence Bible. 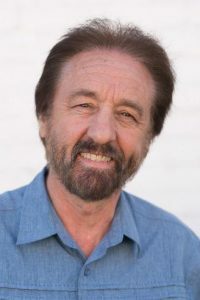 He cohosts the award-winning television program The Way of the Master, seen in almost 200 countries, and is the Executive Producer of “180,” “Evolution vs. God,” “Audacity,” and other films. He is married to Sue and has three grown children. Be the first to review “EXIT Movie – The appeal of suicide (MP4 Download)” Click here to cancel reply.